René Abgrall has placed hundreds of top-tier candidates since 2006, from Machine Operators to Chief Executive Officers. Other recruiting firms can provide you with plenty of resumés, but René Abgrall Recruiting offers a unique service delivering dynamic individuals that no else is representing. We have the candidates that are passively looking and who do not have their resumé posted on every website. At René Abgrall Recruiting, finding you the right candidate is our only goal. We have the expertise to provide you with candidates who are not only going to accept the role, but be a longstanding contributor to your organization. We select the most qualified candidates based on your preferences and needs. We present you with their resumés, a brief profile, recommendations, and salary expectations. We will coordinate interviews with short-listed candidates to meet with you for your final decision-making. 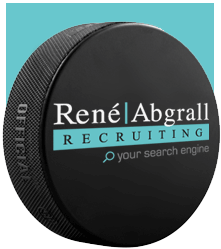 SCORE THE BEST CANDIDATES with René Abgrall Recruiting and let me be ‘Your Search Engine’!